If you want floors that are truly clean (like, so clean you can eat off of them), nothing is better than a steam mop. These appliances give you a proper, deep cleaning traditional mops can’t, making your floors sparkly and safe. Lucky you, our top steam mop review has everything you need to find the perfect one for you and your family. 1 Our Top Steam Mop Reviews: What is the Best for you? 1.7 Buying Considerations – What Should I consider? 1.9.1 Is a steam mop easy to use? 1.9.2 What can you use a steam mop to clean? 1.9.3 What happens if I use my steam mop on a floor that is not sealed? 1.9.4 Why are steam mops better than other mops? 1.9.5 Are steam mops safe? 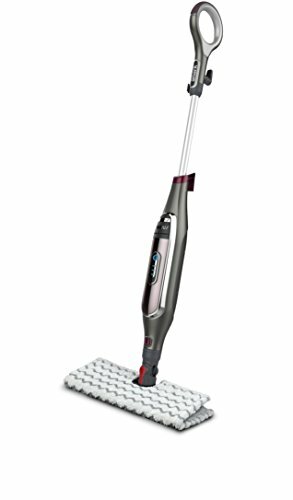 While all the mops on our list will get the job done our top recommendation goes to Bissell 1940 PowerFresh Hard Floor Steam Mop. It provides a serious clean with plenty of features and characteristics that you are sure to love. It is easy to use, durable and offers that deep down clean that you are looking floor. Killing 99.9% of germs on your floor and getting out the deepest stains on your floor are strengths of this product that cannot be matched. Our Top Steam Mop Reviews: What is the Best for you? While all steam mops are ideal for use around your home, there are certainly a few models that come out as top competitors. Here, we have the best five options that you could find. Work 2x Faster: This particular steam mop works up to two times faster than its competitors through the employment of a built-in scrubber. With this pad in place, you can get the same clean in less time. Flip Down Scrubber: The scrubber that we previously mentioned deserves its own separate remark because it allows you to clean up even the toughest messes. Grout, corners, sticky, and dried-on spots are no match for this scrubber. It flips up and down for when you do and don’t want it to be used. Safe on All Hard Floors: This mop is perfect for any hard floor in your house. Hardwood, tile, stone, linoleum, and stone surfaces can all experience the deepest of clean with this product. Fast Action: In just 30 seconds, this steam mop is ready to go. You’ll see 99.9% of germs and bacteria killed off on your hard floor without the use of harsh chemicals using this mop. Talk about an immediate and gratifying clean. Washable Microfiber: The pads on this steam mop are far more useful than some other products that you will see. These pads can be washed and reused up to 20 times – a tremendous value. Furthermore, they trap and lock in dirt like no other pad on the market. Dual-sided Pads: The special pads on your floors can make the difference between clean and dirty. With this in mind, Shark includes 1 mop head in this package so that you can get to every part of your floor. 3 Intelligent Steam Control: The steaming controls (dust, mop, and scrub) on this mop guarantee that you get an outstanding clean every time you pass it over your floor. The sanitation and shine that your floor will have after using this mop is unparalleled. 180 Degree Mop Head: This mop has a highly flexible head such that you can move it around your house with no sweat. Who said cleaning has to be difficult? Shark makes things easy by letting you scoot your steam mop around at all angles. Extra Large Water Tank: Once you get to cleaning with your new steam mop, you won’t want to have stop to refill the water tank every 5 minutes. Thankfully, this Shark product has a big tank so that you can get into a good cleaning rhythm and keep on going until your floor is spotless. Steam Stream Technology: This steam mop shoots a direct steam spray onto your floor, sending the steam straight to the source of your toughest stains. The scrubbing brush serves to cut through food and top level staining. Two Tanks: This product is unique because it has two water tanks. You could choose to put cleaning solution in one of the tanks if you desire a chemical friendly clean or just use the water if you don’t want to use chemicals. Detachable Steamer: This mop has a small, removable head that you can use to clean other surfaces in your home. You can sanitize and deeply clean plenty of other surfaces in your home with this mop, unlike many other options. Steam Clean and Vacuum at the Same Time: That’s right. Not only can you clean and disinfect your floors with this product but you can vacuum, too. And you can do vacuum and disinfect clean at once. Gone are the days of having to pass over your floor twice with this steam mop/vacuum combo in your home. Digital Controls: This steam mop has settings for low and high steam cleans as well as different vacuum modes. The handle has a simple to use interface for no-fuss transitions between whichever modes you are desiring. High Suction: The vacuum on this mop produces outstanding suction that you are sure to love. Bissell has a ton of experience with creating high-quality vacuums and this experience shows in the vacuum that is on this mop. Steam mops are great for a variety of reasons. A steam mop can clean a hard floor much deeper than any vacuum, wipe, or towel by utilizing the power of steam. Steam has two major benefits that are essential to truly make your floor spotless. First, a steam mop simply extracts more dirt and grime out of your hard floor surfaces. Your floors have pores in them that dirt loves to hang out in, giving your floor a worn look. With a steam mop, you can get into those pores and force out that pesky filth to give even the oldest of floors a brand new shine. Second, the antibacterial powers of steam cannot be understated. There are all sorts of harmful microbes and germs that live on your floor. Yuck. But, with the antibacterial strength of steam, you can use your steam mop to kill off 99.9% of the bacteria on your floor for a whole new level of clean. Buying Considerations – What Should I consider? Adjustable Steam Flow: Some might desire the ability to move between different levels of steam utilization. Some steam mops have this feature while others do not. So, if this ability is important to you, be sure to get a mop that has this capability. Extra Scrubbing Ability: Some of these mops have more harsh scrubbers than others. Depending on the type of cleaning you are looking for with your mop, it may be prudent to get a mop that has a heavier duty scrubber rather than just the steaming cleaner. Price: How much the mop costs is, of course, something to consider. Some steamers are cheaper with the same cleaning power as others while some cost more due to their extra features. Tip 1: Make sure you wait for the steam to be coming out of the head of your mop! It takes a second for the water to heat up and start cleaning your floor so be sure to have a little patience at the beginning of your cleaning. Tip 2: Clean your pads! Using a clean pad on your floor should go without saying, but it is important not to forget. Depending on which product you own, you may have to wash your pads or get new ones altogether. Tip 3: Add pleasant smells when you clean! Add some lemon juice, vinegar, or essential oils into your water tank to give your steam a lovely smell. Is a steam mop easy to use? Yes. The truth is a steam mop is not much different from a traditional mop, the main difference being it is more effective at eliminating harmful bacteria. A steam mop only requires water to clean floors and penetrate dirt; chemicals are optional. Just fill it and you’re ready to go. Even better, the steam makes it easier to get rid of grime, as the steam works to loosen stuck or caked-on foods and dirt. So you can clean quicker and with less effort. What can you use a steam mop to clean? A steam mop can be used on any flooring that has been sealed, which means, tiles, linoleum, marble, cement, and even wood as long as a polyurethane has been applied to it. Some types even come with attachments, like brushes, to clean small areas of carpet, but not a whole rug. The attachments on some also allow you to use it on places such as kitchen countertops and curtains, so you can better disinfect your home. What happens if I use my steam mop on a floor that is not sealed? A floor that is not sealed can be severely damaged by a steam mop. A lack of sealant allows the water and vapors to penetrate beneath the surface, which can cause the finish to erode or become ruined. Even worse, the water that gets below the surfacer can compromise the integrity of your floor and cause it to warp or buckle. So make sure your floor is sealed before you use it. Why are steam mops better than other mops? Steam mops are a better choice than traditional models because they clean more thoroughly and eliminate allergens and bacteria that can harm you and your family. 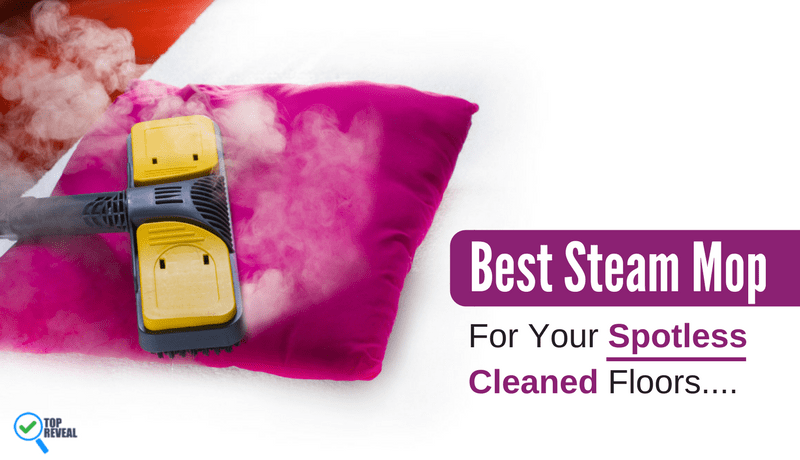 The steam is more effective at removing stains and because of the temperature of the steam it also kills bacteria. Yes, as long as you follow the instructions and use it the way you should. Since there is hot steam that comes out keep it away from children and never put your hands or face in front of the mop while it is in use. Any home with hard floors deserves a steam mop. The only way to get your hard floors to a serious level of clean is with one of the best steam mop options that we have given you here. For the best clean, you want the Bissell 1940 PowerFresh Steam Mop but any of these mops are sure to give your floors a brand new sheen. A steam mop not only clears up stains and other tough messes but also kills virtually all germs and bacteria that live on your floor. With your new steam mop hanging around, you’ll be able to enhance the cleanness of your home like you never had before. 5 Ways to Use a Steam Cleaner - More Than You Think!